In some ways meditation and mindfulness are the interchangeable yet different. One is a modern buzz word and the other associated to spirituality. Your intention, background and interests will affect the route in and language you prefer to hear in discussions, but effectively they both seek to engender a “state of being aware of yourself and one’s surroundings”, or consciousness as defined by Oxford Dictionaries. Meditation is a practice and skill that has been around for thousands of years with various practices that are integrated into a system of practice and belief for a way of living that self-induces a mode of consciousness to realise a benefit in life. This means that there are many types and schoolings for meditation, and Western science has studied specific practices for their efficacy. Focus – bringing the attention back to the breath, an image, words or object. Open – monitoring the thoughts without reacting from moment to moment. Focus meditation can increase concentration and stabilise emotional reactions. Open monitoring meditation can improve the ability to stream information and not get ‘stuck’ on specific information and better select task changing as a result (decision making). Further studies have shown that different meditation practices impact the brain function in different ways, so what might ‘work’ at the time will vary depending on the intention and needs of the meditator. Beginners often start with a focus meditation practice because these provide a ‘hook’ to maintain focus for the practice. Matthieu Ricard, a Tibetan Buddhist monk, who has spoken on TED Talks and is a confidante of the Dalai Lama states that “there’s nothing mysterious” about meditation practices and suggests starting with a compassion meditation practice like he teaches here. Gazing meditations (Trataka) which can a candle, picture, symbol or object to gaze at for the practice. Breath is often the base in Zen (Zazen), mindfulness, or Buddhist that focus on the breath. This can be just watching the natural breath, counting the breath, controlling the breath rhythm, sensation of the breath on different body parts. Mantra is the use of sound to focus the mind such as specific chakra sounds, OM or other words are repeated for 108 or 1008 times. This is where beads can help to count and set a rhythm for the practice. Chakra meditation brings focus to the third eye between the brow, or other 6 energy centres of the body. This can be done with a mantra sound, symbol or sensing energy at these points. Metta (loving-kindness) or compassion meditations focus on the feelings of compassion and loving-kindness to yourself, someone close to you, a neutral person, a difficult person, all of the previous four, and then to the world. Qi Gong Meditation brings all attention to the lower abdomen to feel the energy there grow which then circulates around the body. Guided imagery where the attention is taken around different images to promote relaxation and healing. Body scans take the attention around the body to different parts for sensation awareness. Yoga Nidra includes body scans, breath and variably other components guided visualisation, chakra meditation, compassion, or open monitoring. Open monitoring meditations might feel harder to practice because you become aware of the thoughts in your mind. This is often the experience of those who attend Vipassana which is a meditative practice over 3-10 days with no human eye contact or exercise. This practice does include focus meditation techniques within the period as part of the practice. Mindfulness where just simply observe the thoughts arising and passing like clouds in the sky. Taoist Emptiness meditation (Zuowang) that focuses on the emptiness of the mind and self. Binaural beats are with headphones to listen to sounds that are supposed to stimulate specific brain wave frequencies in the brain for greater balance. Altered states can arise from either practice, but these practices include specific techniques and it is best to be guided through the practices properly due to potential altered experiences that may arise. Transcendental Meditation is a specific practice that uses a mantra to encourage an altered state of mind and experience. Their site is here. Kundalini meditation that works in arising specific energy through the body into an altered experience of ‘awakening’. You can learn more here. Kriya yoga contains devotional elements to the practices with a mixture of movement, breathwork and meditation that should be used in a sequence to awaken self-realisation. You can find out more here. Mindfulness is focused attention to the present moment. It is about a way of living with full conscious awareness to the present moment. This is more than just a practice. However, there are techniques to become more mindful such meditation or breathwork. Since the 1950s mindfulness-based practices have been the subject of various scientific studies to establish that it improves emotional states, wellbeing and health. 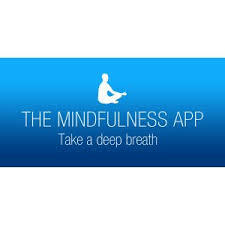 Jon Kabat-Zin one of the mindfulness leaders created the science-studied and based approach of Mindfulness-Based Stress Reduction Program (MBSR) at the University of Massachusetts Medical School in 1979. There are now adapted programs worldwide that include specific mental health conditions, children, workplace, childbirth and parenting, and teachers. Improves quality of life through the cultivation of awareness of your thoughts, actions, reactions, behaviours and world around you. Reduces negative emotions such as stress and depression. Improving self-compassion and reducing behaviours that contribute to low moods, such as excessive drinking. Helps build a healthy immune system. Improves focus and in turn memory, attention skills and decision-making. Enhances relationships by improving understanding of others and self-compassion. Creates a stronger sense of self. Makes for better business performance with reduced multitasking and improved creativity. Reduces mood disturbances and swings from studies with veterans and prisoners. Common to the techniques used are the process of bringing awareness to thoughts, feelings, bodily sensations, and the surrounding environment with a nurturing gentle perspective. Thoughts are accepted as passing, like watching clouds float through the sky. There is no ‘right’ or ‘wrong’ for thoughts in this practice. When thoughts appear, acknowledge them and go back to the focus for the practice. Mindfulness can be done during activities as well as sitting alone in silence. A mindful activity might be a movement practice, walking, swimming or knitting. The key is the ability to bring your complete awareness fully to the present moment. 1. Connecting to the breath – observe it flow in and out of the body. 2. Body scan – scan the body head to toe or vice versa. Note sensations but not their stories. 3. Mindful eating – in detail each morsel of food as it is eaten, the texture, taste, colours etc. 4. Walking meditation – notice the contact of the foot with the ground on each step. Keep the practice short to start with. Pick a routine time or prompt in your day to do your practice. Use an alarm if you need. Add it into something you already do can really help e.g. 5 minutes when you get in your car before you drive home after work. Be comfortable in whatever position so your body is not ‘bothering’ you. If you are not happy to sit still, then try walking or linking it to a gentle activity. Be kind to yourself and your thoughts. They are just thoughts and will pass on by if you let them go. If you wish something more tailored to your circumstances and motivation to support you, contact us and we can weave meditation or mindfulness into your other practices with us - from Reiki healing, Pilates, yoga or nutrition.